It can help with punctuation. Learners are keen to work on pronunciation so that they can be understood. It helps with listening skills, particularly features of connected speech. Pronunciation, rather than grammar / vocab, is the main barrier to understanding. If learners have bad pronunciation, listeners think their English is incomprehensible even if it’s not. Can undermine SS confidence. Raises awareness of sounds – learners better able to distinguish between them. Awareness of varieties of English. Integrate it into your lessons as much as possible OR Have courses which are entirely pronunciation focussed. Start with little steps, and build from there. Keep a corner of the board for pronunciation issues which emerge during the lesson. Model the shape of the mouth, and ask them to think about their tongues and lips! Even works with elementary SS. Work on pronunciation with all new lexis. Record your students and use it to focus on pronunciation issues. Intonation: using only the word ‘banana’, role play this situation: husband arrives home, small talk with wife, wife confronts husband about recently-discovered affair, husband denies it, husband admits it, argue, make up. How many different ways can you say ‘no’ / ‘thank you’? Use graded readers with small groups to focus on pronunciation and see where SS need to develop. Exaggerate sounds – it’s fun, and SS can feel the difference between them. Get SS to stand up and sit down to mirror the intonation as you drill. Make it fun: stress can inhibit production. Students often use their own notation, so don’t feel the need to learn IPA. Highlight sounds which don’t appear in L1. Use the schwa symbol – very useful – the one bit of IPA that every teacher should know. Have fun with it! SS more likely to accept it this way. It is very overlooked by teachers, often as coursebook syllabi are so dense, and teachers don’t think grammar / vocabulary include pronunciation. It is overlooked in a lot of coursebooks – included in very small chunks, so teachers don’t see it as important. Can be difficult to teach in multilingual classes unless suprasegmental. If it’s not tested, it’s not important. Some teachers think it will come by osmosis, but it actually needs a lot of work. It’s often left until later, meaning a lot of SS have very little exposure to pronunciation work. Realism is required: perfection is unnecessary and largely unobtainable. Students may believe there’s no system to English pronunciation. Do we do our students a disservice by speaking slowly and clearly in class? Fossilised errors take a long time correct. Teens may fear being mocked by peers. Intonation can be difficult to teach as the rules are hard to pin down. SS attitudes to and perception of pronunciation might block them, although talking about this helps. HOWEVER, if you think pronunciation is important, your students will too. Which English should we teach? Accent doesn’t matter, but clear pronunciation does. Accent ≠ pronunciation. And changing your accent can mean changing your identity. The English our learners need! If they’re going to be exposed to non-natives more than natives, then they need to hear them more! The days of RP are long past. 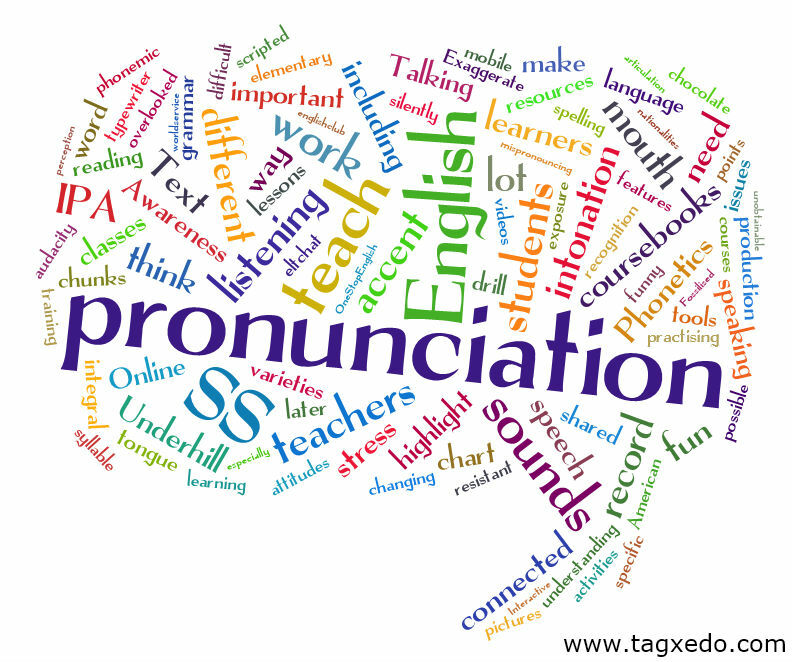 Update: On the 29th June 2011, we had another chat about pronunciation, including lots of new links. The summary is here. Just got round to adding a link to this brilliant post on the TeachingEnglish facebook page http://www.facebook.com/TeachingEnglish.BritishCouncil if you’d like to check for comments. An Inspiration….to be put to work! We’re already half way through the five-week course but the resources will remain online for some time. Thanks for sharing that Glenys.